It's that time of the year. 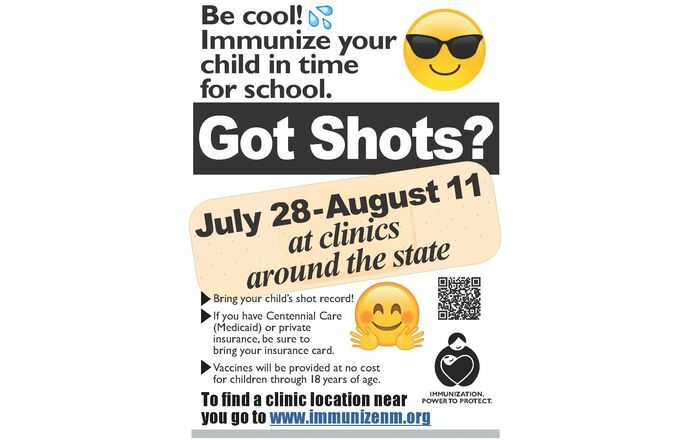 The New Mexico Immunization Coalition is reminding parents to have their children immunized through Got Shots? events running from July 28 through August 11. Got Shots? provides opportunities for children across the state to stay up to date on their immunizations through vaccination events where every child is welcomed, regardless of insurance coverage. “Back-to-school is a really important time to keep up on your shots,” says coalition executive director Anna Pentler. “It’s a simple way to protect your kids from childhood diseases at no cost and with no appointment. As an example, the Centers for Disease Control and Prevention reported a 2017 outbreak in which a 25-month-old child in Minnesota was hospitalized and evaluated for fever and rash. The child had no history of receiving a measles-mumps-rubella (MMR) vaccine and no travel history or known exposure to measles. The following day, a second unvaccinated child with similar symptoms was hospitalized, and then the patient’s 19-month-old sibling showed the same symptoms. All three had attended the same childcare center. Because the outbreak occurred in a community with low MMR vaccination coverage, measles spread rapidly, resulting in thousands of exposures in childcare centers, schools and health care facilities. In less than a month, there were 65 confirmed measles cases in four counties. 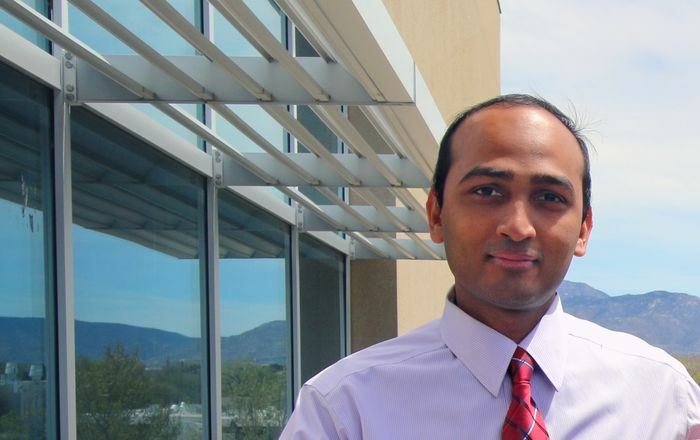 “Measles virus can stay in the air for up to three hours after the infected person has left the room, and contracting measles can lead to encephalitis, seizures, blindness and even more devastating consequences,” Pentler says. “So, immunizations are certainly important to your child’s health and safety, but they’re also important to the health of everyone around us. 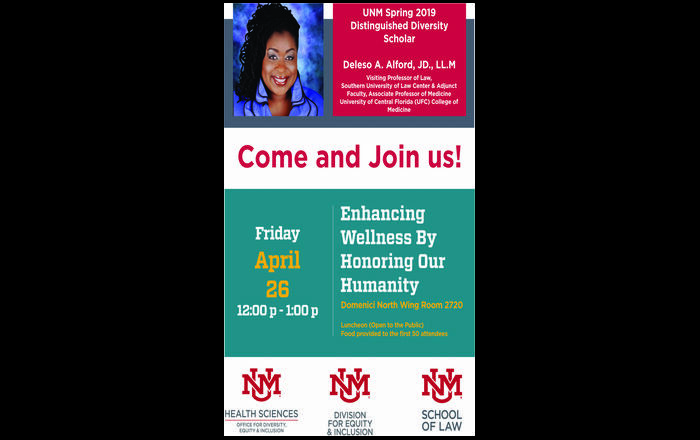 So far this year, the coalition – a statewide organization administered through the University of New Mexico’s Health Sciences Center Office of Community Health – has 65 clinics in its Got Shots? network across 23 counties lined up to offer Tdap, meningococcal, hepatitis, polio, MMR, chickenpox and other vaccines. 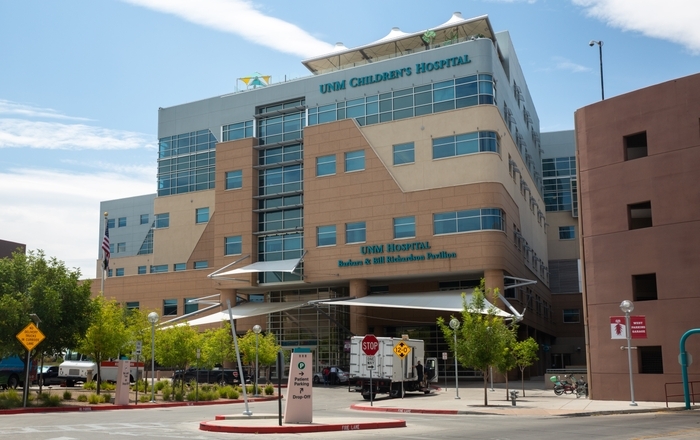 The New Mexico Immunization Coalition was formed in 2002 by then-First Lady Barbara Richardson and Phil Eaton, MD, UNM’s then-Vice President for Health Sciences, to boost immunization rates for everyone in New Mexico, with a special focus on children. In addition to its Got Shots? events, the coalition manages the School Kids Influenza Immunization Project, or SKIIP, the Vaccines for Teens and Tweens immunization initiative for Meningococcal Disease, Human Papilloma Virus, Tetanus, Diphtheria and Pertussis, and other immunization efforts.